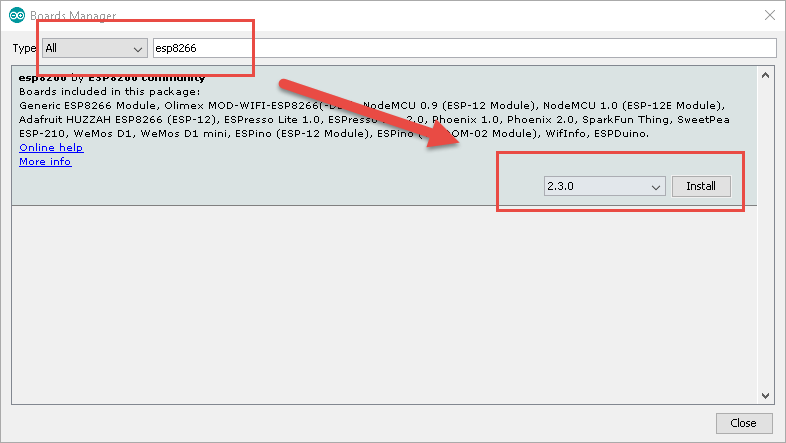 NodeMCU is an eLua based firmware for the ESP8266 WiFi SOC from Espressif. 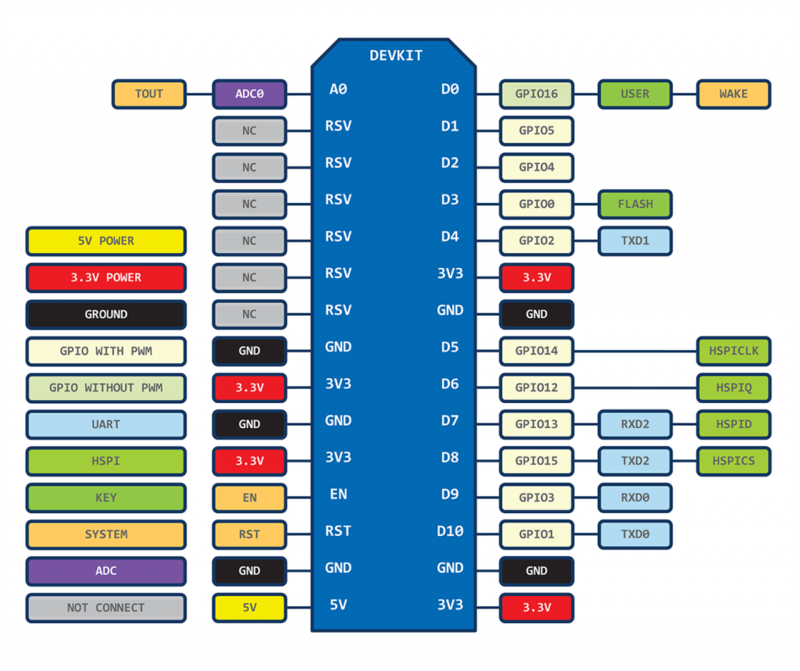 The firmware is based on the Espressif NON-OS SDK and uses a file system based on spiffs. The code repository consists of 98.1% C-code. The NodeMCU firmware is a companion project to the popular NodeMCU dev kits, ready-made open source development boards with ESP8266-12E chips. As Arduino.cc began developing new MCU boards based on non-AVR processors like the ARM/SAM MCU and used in the Arduino Due, they needed to modify the Arduino IDE so that it would be relatively easy to change the IDE to support alternate tool chains to allow Arduino C/C++ to be compiled down to these new processors. 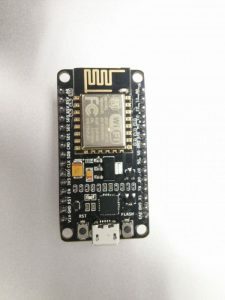 Some creative ESP8266 enthusiasts have developed an Arduino core for the ESP8266 WiFi SoC that is available at the GitHub ESP8266 Core webpage. 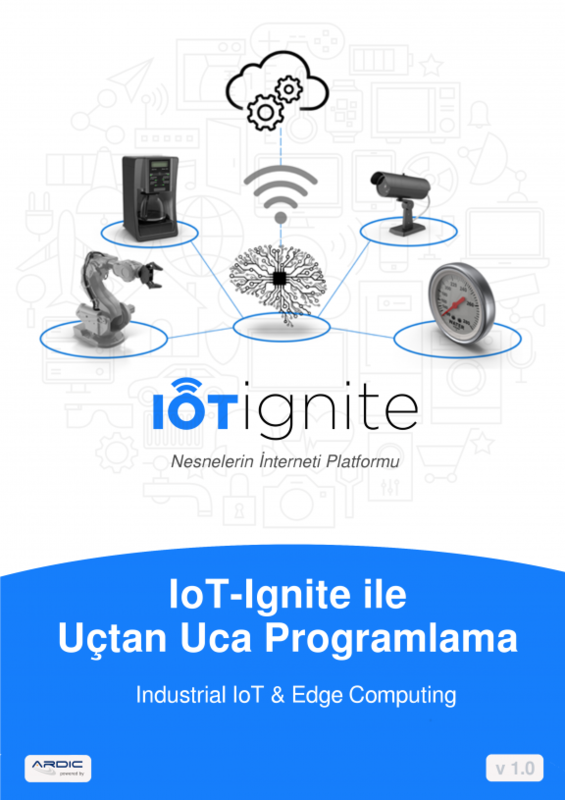 This is what is popularly called the “ESP8266 Core for the Arduino IDE” and it has become one of the leading software development platforms for the various ESP8266 based modules and development boards, including NodeMCUs. The NodeMCU project uses the SPIFFS filesystem to store files in the flash chip. The technical details about how this is configured can be found here. Open Board Manager menu and type esp8266 and install. Note: When you use the NodeMCU board with the Arduino IDE, the Lua firmware will be deleted and replaced by the sketch. If you want to use the Lua SDK again, will be necessary “flashing” the firmware again. Arduino plugin which packs sketch data folder into SPIFFS file system image, and uploads the image to ESP8266 flash memory. Make sure you use one of the supported versions of Arduino IDE and have ESP8266 core installed. Download the tool archive from releases page. In your Arduino sketchbook directory, create tools directory if it doesn’t exist yet. Unpack the tool into tools directory (the path will look like<home_dir>/Arduino/tools/ESP8266FS/tool/esp8266fs.jar). Open a sketch (or create a new one and save it). Go to sketch directory (choose Sketch > Show Sketch Folder). Create a directory named dataand any files you want in the file system there. Make sure you have selected a board, port, and closed Serial Monitor. Select Tools > ESP8266 Sketch Data Uploadmenu item. This should start uploading the files into ESP8266 flash file system. When done, IDE status bar will display SPIFFS Image Uploaded message. Might take a few minutes for large file system sizes.